He started with AUM, followed by the Gayatri Mantra and the Mahamritunjaya Mantra. He who does not deviate from AUM, which is the source of all things, is a man of God. He who does not deviate from the Sadhana/ quest for perfection is a Bhakta. 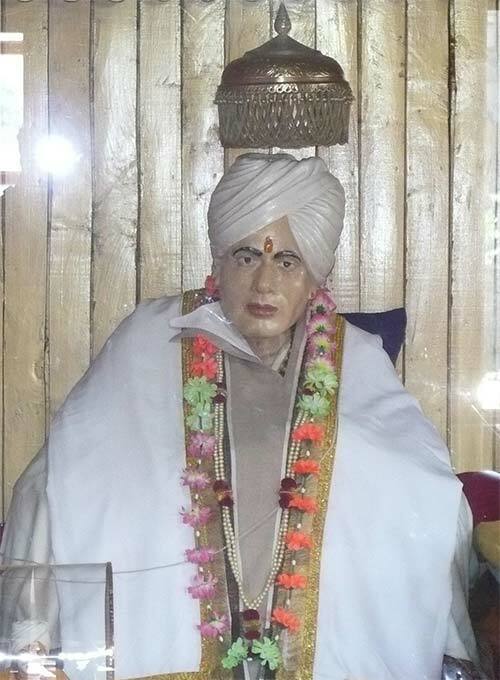 He, who does not deviate from the Essence of Bhagavaan Ji’s gospel, is always a beneficiary of the Divine Grace. How to receive Bhagavaan Ji’s Grace? Sanatana Dharma speaks of Guru-Shishya Bhava, as is evident from the life of Shri Rama and Shri Krishna. Shri Rama learnt Brhma Jnana from his Kula Guru Vashishta, and excellence in the Military sciences from Guru Vishwamitra. Shri Krishna also learnt the Vedas from his Guru Sandipini . That is why Bhagavaan Ji used to recite the Guru Gita. 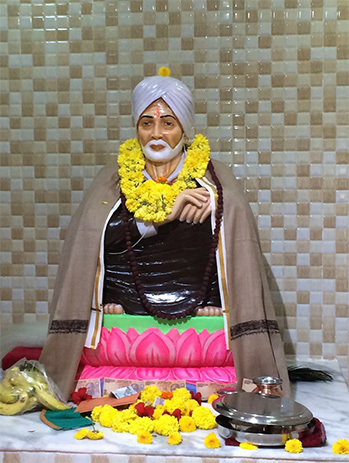 Bhagavaan Ji was himself a Siddha Purusha like Kapila Muni. Even then, he followed the example of great Incarnations , and absorbed himself in wrting Sharada AUM, and reciting Guru Gita. Inspite of his inner feelings, that he himself has to merge with the Absolute, even then, he like the Buddha wanted that all others can rise to the spiritual heights, if he merges with Aum, and lives the life with SEZAR-PAZR-SHOZAR. This is, in my humble way to learn the basic discipline of GURU-SHISHYA Bhava. He who neither values his Guru, nor remembers the lesson, given by the Guru can never become spiritually evolved. To live in the cave of realization, a spiritual journey to consciousness is needed. The cave is the Dhyana of the physical form of Bab Bhagavaan, The spiritual journey is the recitation of Guru Gita. A mystic experience, should be taken as the Divine Grace of Shriman Bab Bhagavaan. It is the reflection of the inner-self, known as the Antaratman. It is a higher bliss not to be spoken, but to be shared through the SEVA-BHAVA of the humanity at large. This is both Nara - Seva/ service to humanity and Narayana - Seva/ dedication to the aura of Bab Bhagavaan. It is rather a direct experience. The Bhakta is to see the ‘Mirror of Self’ in silence. Silence is speaking to the soul. It is expressing and communicating with the Divine. This is the First step to learn from the Leela of Bhagavaan Ji.. It is His wonderful Diksha , as well be the part and parcel of the Will of Shakti Sharika. 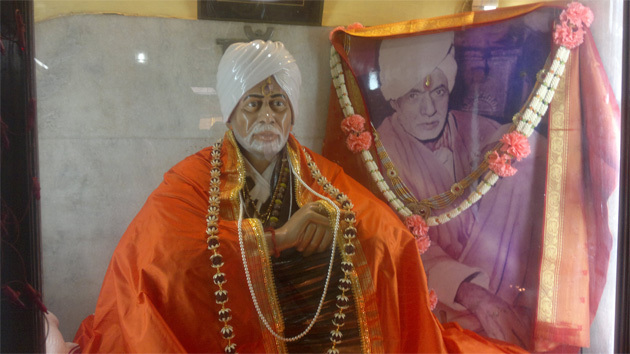 With this Bija –Mantra of Silence, he transformed the lives of his devotees. To visualize the SHUNYA, is not only a Mantra, but to see the Bhagavaan Bab in His subtle form. This approach is unconditional; it is not for asking boons and favours, but being the part of His consciousness. This is Tapasya/ the austerity to live for higher consciousness. His Maha Mantra for the humanity is SEZAR-PAZAR-SHOZAR. This is verily, his observation. He never authored books or gave the big Pravachans/ sermons, but talked with his true nature of realization. 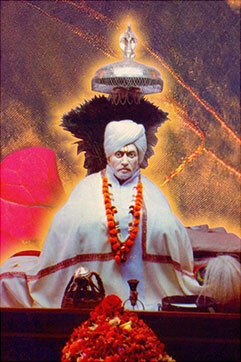 SEZAR is the base of Sadhana. It is the quintessential of the Narada’s Bhakti Sutra. Sezar is straight forwardness, but it has a deep meaning, beyond that. It is to live in peace and allow others to live in peace. BAB understood this aphorism in principle and its application in the Kaliyuga. All visible directions in the space and all conditions of the time, from subtle to the gross are to be dealt within the realm of SEZAR. Sezar is the Eternal Truth, not a book, written with academic resources, which are often subject to change, but Sezar is Sanatana Dharma. ‘Satyam Vada Naanritam’--- is verily, the foundation of the spiritual thought of the Upanishads. Rishis lived the life of the Vedas and Upanishads, saints and saints of India applied the Vedantic approach to life in word, and deed. 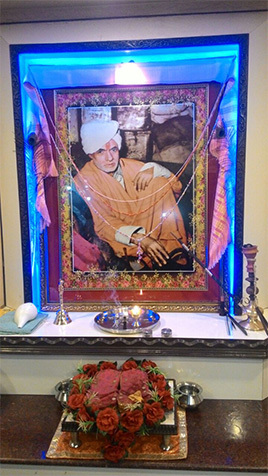 Kashmiri sages and saints though lived the grihasthi—householder’s life ascended high in the spiritual realm that people in general believed in their sayings, advices, either given directly or dictating through their transcending nature, for the welfare of the devotees. The empirical truth for them is the only means for the attainment of transcendental truth. According to the Bab Bhagavaan’s saying the transcendental truth is of the highest nature and ultimate reality of Shakti, who is none else but, Shri Sharika, who’s abode is at Hari Parbat. There she manifests in the Sampoona Kalas of Matrikaa Varanmala. 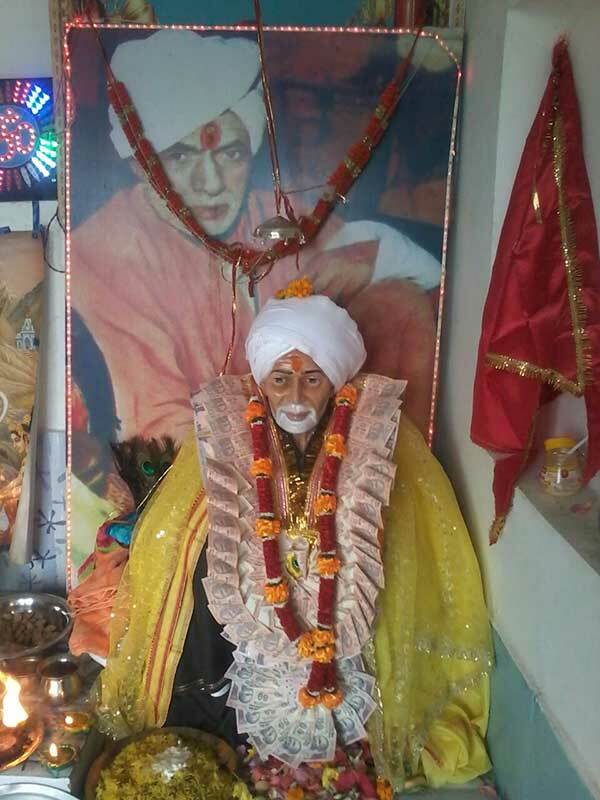 For this realization Bab Bhagavaan would insist on going to Shri Sharika’s abode with true devotion and focus one’s attention on the Shila-ruupini Shakti with the words of Om Hrim Shrim Aam Sham Shri Sharikaya Namah. 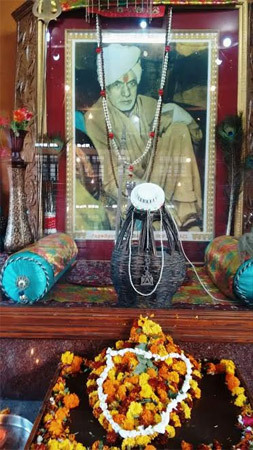 These letters are the sacred BijaMantra of Shri Sharika.Shri Shariks is the saviour of the Satisar, who according to the Nilamata Purana happened to be the sporting pond of shri Mata Bhavani Sati.This is the great Sadhana sthali of the saints of Kashmir,where Sapta Rishis would be in their Sadhana to adore Shri Sharika.Bab Bhagavaan Ji would like this sacred spot,as there is the Divine vibration touchingthe inner spiritual psyche of the aspirants. 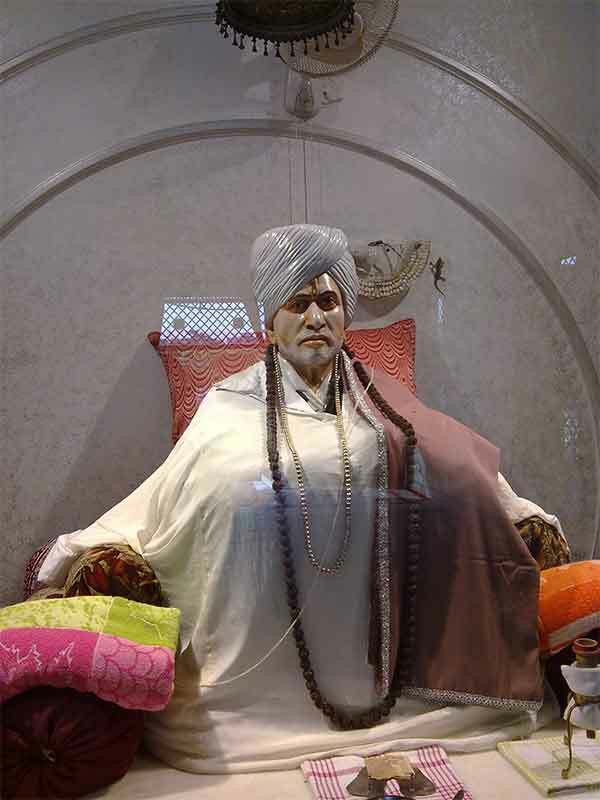 His devotees would follow him in the Sadhana, which ultimately gave them spiritual inputs as described in the Aagama Shastras of Kashmir.Bab Bhagavaan Ji's approach to the Divine is more Agamic in nature. What are the Aagam Shastras? Aagam Shastras are direct revelations from Shiva and have been listened to in the direct conversation by the Samvit Svaruupini Shri Maatri Devi- Parvati, as decsribed in the Shaiva Agamas of Kashmir. All manifestation is Poorna Prakriti, so the Svayambhu Shila is but the self manifestation of the Divine Mother. What and where the Eternal Truth is has been applied by Bhagavaan Ji in his life in a very miraculous way. The truth is revealed in the Agama Shastras. The Agamas cannot be understood on the basis of assumption only,instead it needs to be realised,through great Tapasya/penances,Sadhana/adoration with propitiation, Shraddha/devotional faith and Vishwaas/reliance .These are the pillars of Self realization. It is like the re modeling of the old structure,which already exits in the Naama Rupa of Jivatman to give a new look for better life,which is Parishkaara/purification by initiatory rites,through Shakti Paata. Agamas are not to be taken as the grafting of a plant,rather it is a plant,which blossomes with the realm of Sadhana,under the protection of a true Guru,who should be an adept scholar and a practitioner of the Agamic Vidya.The Maatrika Jnana is an essential part of this Agamic Sadhana. If we look at the life pattern of Bhagavaan Gopinath Ji. 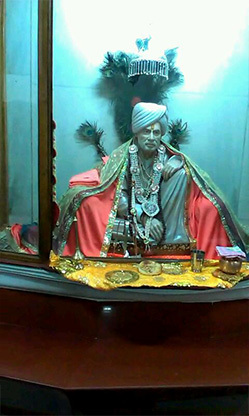 Bab Bhagavaan would emphasise on the Agamic Havanas, as happens to be the Kashmiri Pandit spiritual heritage.He would himself do Agnihotra daily,with Havan Samagri and Samidha,and Ghee would be mixed in a metalic Kunda,and would make the Ahutis/offerings to the Panchayatan Devatas.In Kashmir,the Panchayatan Puja/Homa is still current in the religios atmosphere of Kashmiri Pandits.The Smartas in the southern India perform if not the same but similar propitiation.These Pancha Devatas are revered as Shri Ganesha, Maha Vishnu,Shankara/Mahadeva, Surya and Shakti/Bhavani.All his devotees in his life time have observed his Havana Anushtthana/invocation to the Divinty in various forms,with different adorable names..
As revealed by Pran Nath Koul Ji, he would recite the Bhavani Sahsranama during his AgniHotra.Bhavani Sahsranama is a very powerful Sahsranama,as is revealed by Lord Shiva Himself to Nandakeshwara. PAZAR helps the hostile forces to think twice. Pazar is Ekam Sad/Truth is One. Truth is All existence.